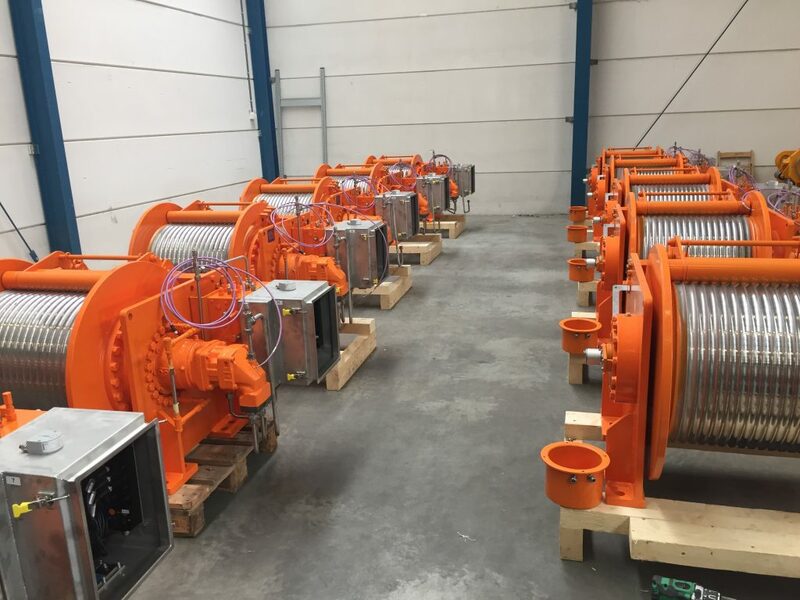 Marotechniek supplied 12pcs of Hydraulic winches with a capacity of 12t hoist- and 22t hold force for the new monopole gripper NMS system on board of the Aeolus (van Oord). The winches are supplied under a DNV-GL Design Appraisal Document. The new system will be used for the installation of the offshore windmill projects Borssele III & IV and the Norther offshore windpark.